As hotels continue to upgrade their interiors with eye-catching items such as unique artwork, highly decorative lighting and inspirational custom carpets, the trend toward better technology integration continues as well. Hotels undertaking these initiatives are out to set themselves apart from the competition, while also creating highly memorable experiences for their customers. What’s happening in the world of Hotel Design? A recent Buzzfeed article titled “The Hotel Industry’s Race To Escape The Dinosaur Age” addresses one of the current struggles of the Hotel world: technology. Features like mobile booking, keyless check-in, and customer operated kiosks in the lobby bring old hotels into the new age. The article got us thinking. 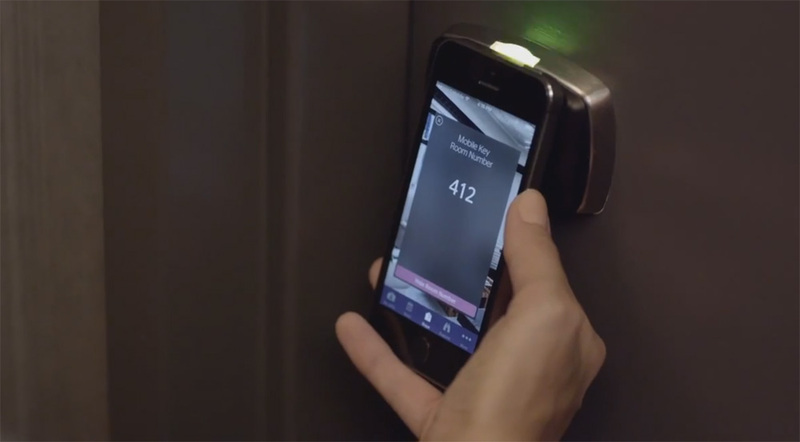 Technology isn’t the only thing hotels should update to join this century. 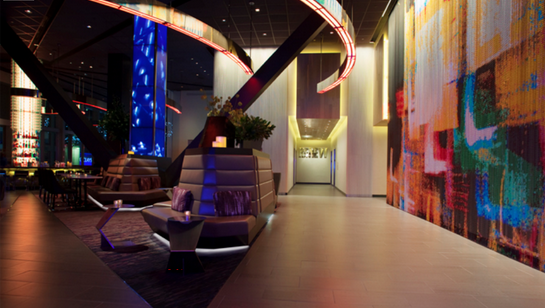 Changing the check-in experience for customers will lead to redesigning the lobby. This is an opportunity to update all aspects of your hotel design. In the article Ryan Meliker, a senior analyst at MLV & Co, says “large hotel chains tend to conduct a major overhaul just once every seven years.” That’s not hard to believe considering the logistics of a major design overhaul. It is shocking to think that interiors that were “in-style” or “on-trend” seven years ago still exist in most hotels. 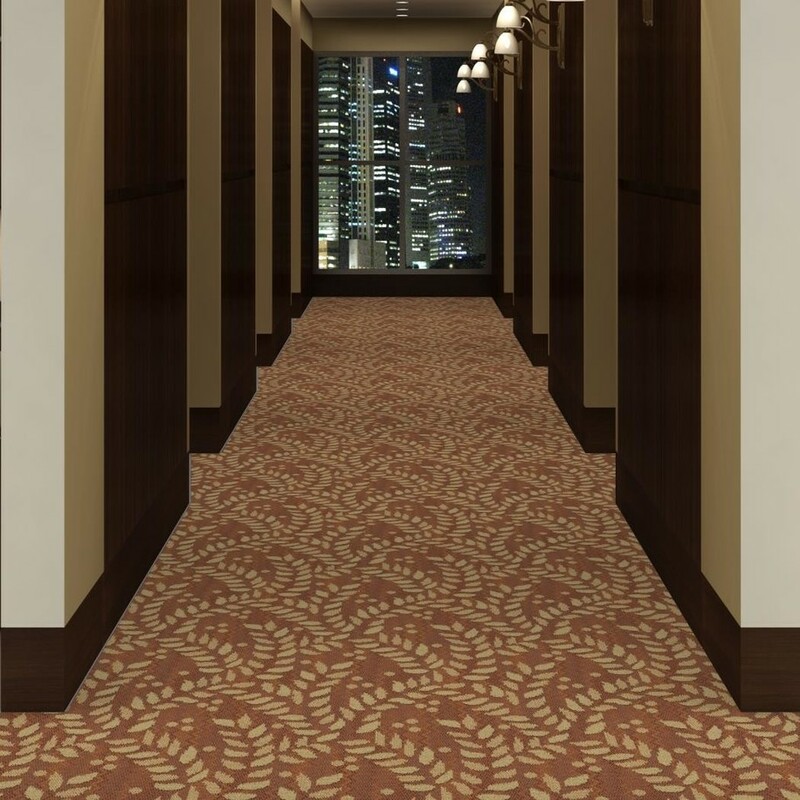 Carpet has a distinct advantage because it can be easily removed and a new design theme can be added with less interruption of the hotel’s business. Newer interiors, like updated technology, especially appeal to younger professionals who travel. This includes millennials who know what they want, compare hotels online, read reviews and take to the internet to voice concern and displeasure more than any other group. 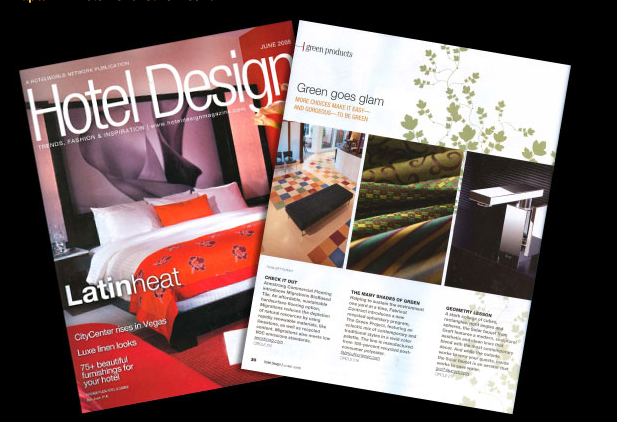 (Photos of Hotel Design Magazine from 2008). Hotels that want to attract more travelers, gain repeat customers and generate more word-of-mouth buzz must frequently update their interiors. These updates need to be sensitive to the design, functionality and technology trends which are often driven by the “next generation” of customers while considering the context of the property’s brand. The opportunity for carpet in the millennial quest for a unique and authentic hotel, lies in its ability to be custom designed more easily than other furnishings. Generally speaking, today’s interior design aesthetic is cleaner, integrates bolder color choices and features highly decorative finishes. Designers working on hospitality projects can achieve stunning, memorable and customer-centric design looks when specifying the right commercial carpet. 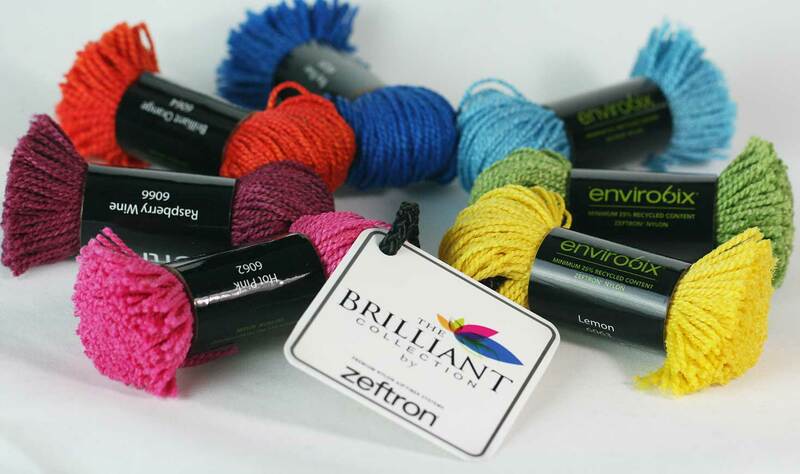 Whether it’s a custom product or a running line, carpets made with Zeftron nylon range from sleek, to delicate floral designs, to bright and modern. 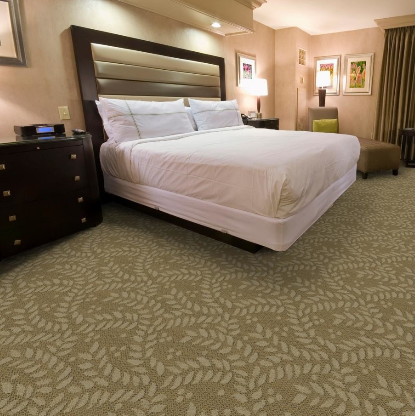 With a custom carpet, you can achieve virtually any look you desire. 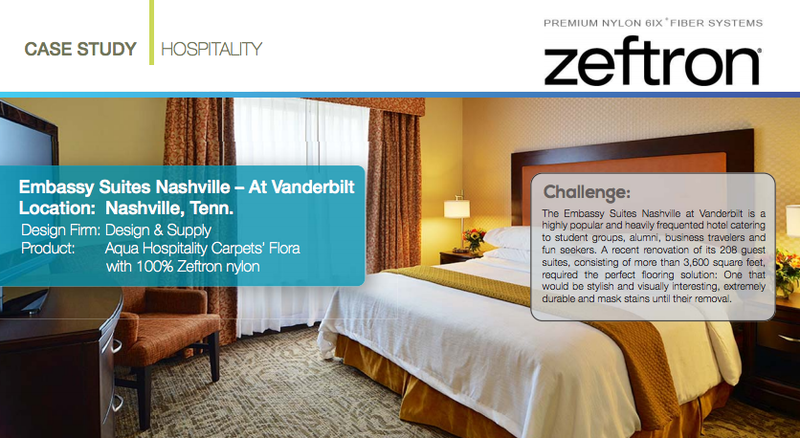 We recently helped the Embassy Suites Nashville at Vanderbilt upgrade their more than 200 rooms. This project proves that even established big-name hotels can make significant changes on a property-by-property basis. The end result is a beautiful fresh space. We encourage you to Make A Design Statement with your next project and leave a lasting impression on your guests. Related article: Recently we looked at how employers have a better chance at hiring and retaining talent with better workplace design. The office of today is not what it used to be. Gone are the days of gray walls and tiny cubes separating the individual from the masses. The new workplace is open, airy, colorful and brand-driven. Now more than ever design is critical to achieving collaboration, inspiration and maximum productivity. But how does a designer come up with the perfect interior for a client? Unfortunately, there is no secret formula. Instead it changes with every space that is created. But what doesn’t change is the need to connect the design aesthetic of the environment to the functional needs of those occupying the space. Acoustics: It’s well-known that quieter environments can foster greater focus and attention. Global design firm HOK lists this as one of their top 10 trends influencing workplace design today, and we agree. 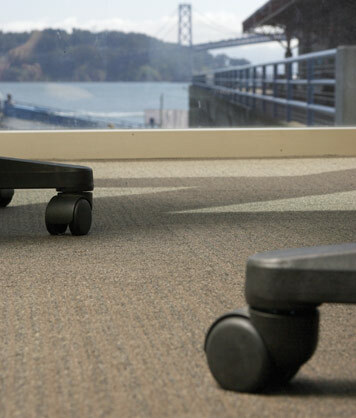 One of carpet’s best features is sound absorption, which can help reduce unwanted noise and create more productive employees. Color: Carpet ain’t what it used to be! Our mill partners work hard to create amazing carpets that are not only beautiful, but highly stylish and versatile. We recently released seven new colors called the Brilliant Collection, which include colors like Lemon, Hot Pink, & Electric Blue to name a few. Why is that important? Research shows that bright colors not only add a spark of energy to a space, it can also foster greater engagement and activity. Branding: Earlier this year Building Design & Construction posted an in-depth look at how millennials respond to workplace design. The new workplace is quickly filling up with this young generation and they expect a branded feel to their workspace. High-quality design in the workplace is a competitive advantage and will help with recruitment and retention of millennials, and all employees. Carpet offers the flexibility and customization to create a branded feel for your project. What are other important factors when you specify carpet for your projects? 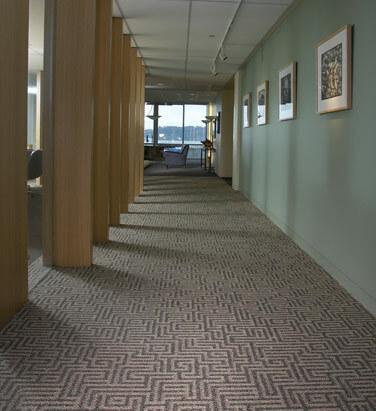 When choosing a commercial grade carpet, we have talked in the past about the importance of knowing the traffic the space will receive, as well as the maintenance plan for the space. 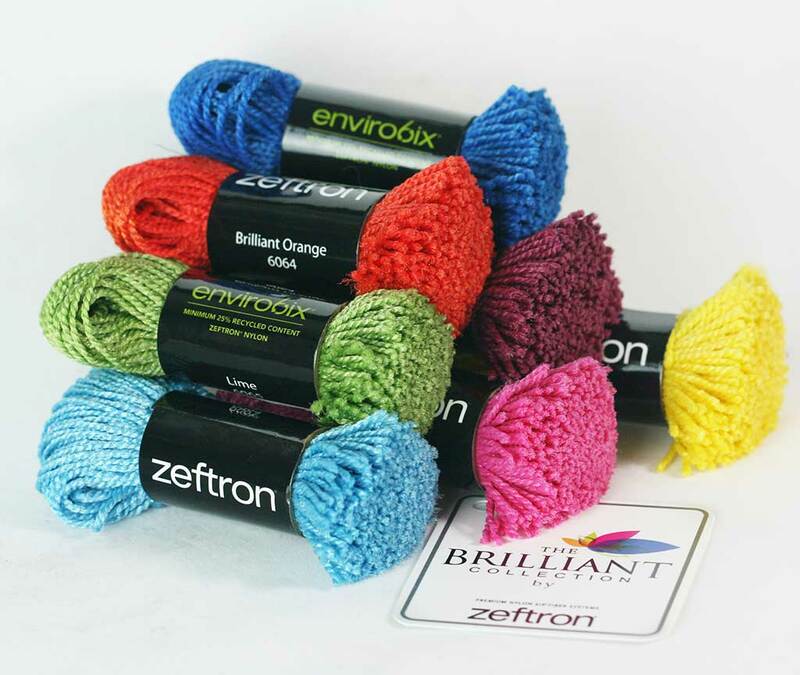 Let us know if you have any questions about Zeftron nylon!